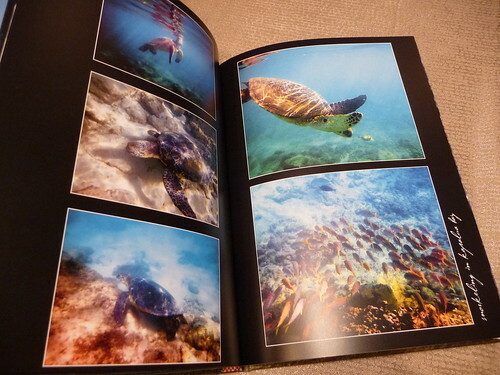 My hardcover imagewrap photo book arrived late on Friday, and I’ve posted a sneak peek to my Facebook fans. Seems like folks are eager to see this review, no doubt since those Photobook America and Photobook Canada Groupons have been so popular. I was provided a complimentary photo book from Photobook America to try their service and here’s my review! Part I of my review was all about the Photobook America design software – in my case Photobook Designer version 2.5.4 for the Mac. I also posted some of the layouts and tips for designing your own photo book templates within the software. Want to see the quick specs and overview for Photobook America? Now here’s the actual book! As mentioned, you can find a detailed review of Photobook America’s software in Part I of my review. To summarize, I found the design tools easy to use and full of features you would expect from a good book layout program. You can keep your book file on an external hard drive to save internal hard drive space. If you make as many books as I do, you’ll be glad for that! The book came in cardboard box encased in a clear plastic sleeve and wrapped in a layer of bubble wrap. The box wasn’t that sturdy, so the corners got a bit dinged. The cover I chose was the imagewrap cover. It allows you to select a single image that goes from front to back as well as over the spine. I like the seamless look this provides rather than books that break down the covers into separate elements. You do have the option to have different images, but the wrap around effect shows off nicely with this book. 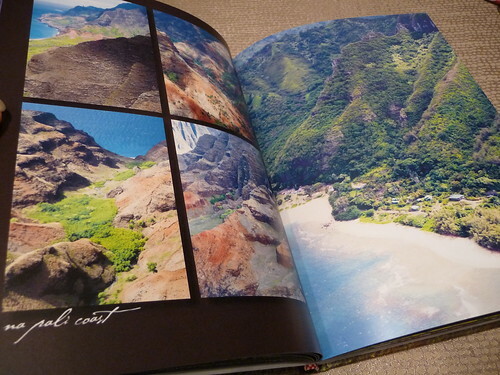 The cover is matte, which is different from most photo book companies with full photo cover options. Most companies custom covers are glossy. I thought the colors came out well saturated and really had the look of a book you’d buy in a bookstore. A couple friends said it looked like a school textbook (probably in part due to the portrait orientation of the book). The cover looks closest to MyPublisher’s photo finish hardcover and Blurb’s ImageWrap – the name for the equivalent styles offered by both companies. It doesn’t have that soft feel of the MyPublisher cover, so it is different. The covers are pretty similar, but Photobook America’s gives you more options, as you can wrap the image across the full cover, including the spine – with MyPublisher’s and Blurb you can’t do that. 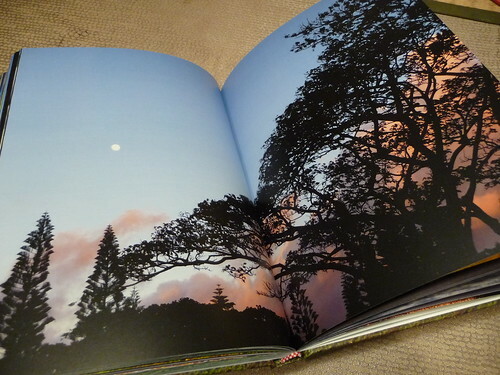 The book looks very neat, well constructed and the colors are inviting. You can also title the spine which is an important option to have. The font is my own font from my computer. (P22 Cezanne is the font – you can Google it and find it online for free.) I like the flexibility of choosing your own fonts and I found the text and captions printed out nice and clear. 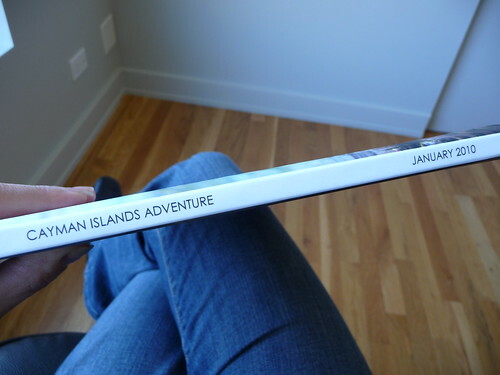 A shot of the titling on the spine on the MyPublisher book for comparison. When you open the book, the first page is a single white sheet of standard paper much heavier than standard copier paper but not as heavy as cardstock. Next is a translucent vellum type page with a subtle texture of tiny dots. I’m a sucker for vellum overlays. The vellum type endsheet and white cover page is also repeated at the back for a nice finish. The paper I selected is an upgrade. The standard paper is 170gsm (European) which is about 115lb. The upgraded 216gsm silk paper I selected is roughly equivalent to 146lb and cost $10 to add. 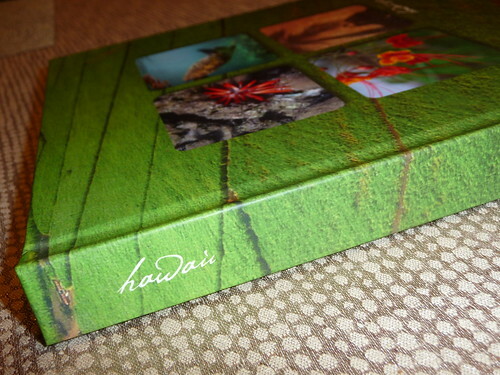 Most photo book companies offer 100lb. paper, so according to the numbers, Photobook America’s standard paper is heavier in weight than most paper offered. This is my first book with Photobook America, so I can’t say for sure if that’s the case, but I can tell you that this upgraded paper is very thick and carries a nice weight. When I showed it to friends and family, I could see them feeling the pages, thinking that two pages had stuck together. This type of paper produces no bleedthrough whatsoever, meaning you can’t see the image on the other side so your layouts can take center stage. My layouts came out as they appeared in the preview, which is important when you’re doing two-page spreads. The image loss in the gutter is very minimal. The paper is more matte than most photo books, which to my eye just slightly mutes the vibrance of the colors a bit when I compare it to the printing of MyPublisher for instance. I would really like to see the difference between the 216gsm silk paper and the 190gsm Photo Lustre Paper which was added as an option recently. I don’t recall it being available when I ordered my book, but I may have missed it. According to the information on the site, the photo lustre paper has a satin matte surface that looks and feels like a photographic print with the added bonus of “brillant colors, depth of contrast, low reflection” etc. I prefer matte photographs versus glossy, so I like the idea of a matte paper with the look of a photograph. I may have to use one of my Photobook America Groupons to do a side by side comparison with the lustre paper! Here are some shots of the interior layouts. 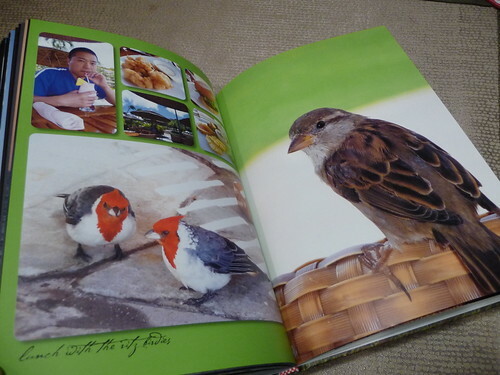 As mentioned earlier, you can read my post for a “how to” on creating these photo book layouts. 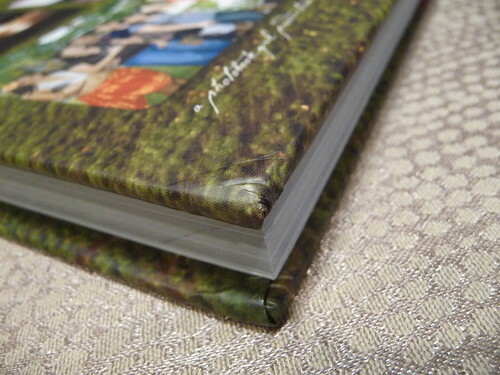 The binding is side stitched with a reinforced spine. It feels well-constructed. I get lots of messages from readers asking for recommendations. To some folks, price is most important, to others print quality is foremost and price is secondary. Is Photobook America worth the cost? When we first saw it, my husband and I both were impressed with the quality of the book. Several friends said it looked like a store bought book, which is one of the best compliments you can get right? I liked the print quality of the Photobook America book more than the Blurb books I’ve done in the past, (but I still think Blurb does a good job overall). What sets Photobook America apart from Blurb for instance and many of the other photo book companies is the software. It’s loaded with features. 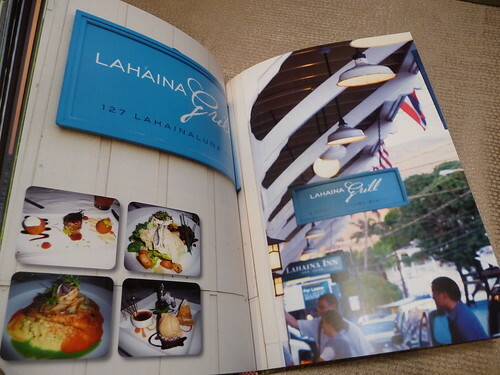 Blurb allows for customizable layouts, but the tools are not as streamlined as Photobook America’s. 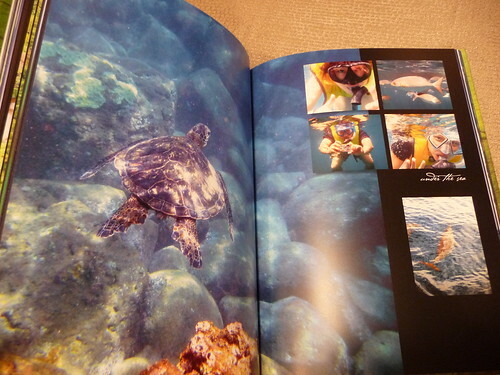 You have to switch modes to alter the layouts in Blurb and then return to book layout mode to place the photos. With many other companies, especially those who do not offer customizable layouts, I feel restricted by the design tools. So for me, it’s a timesaver to find quality and excellent software in one package. Time is money – sometimes we don’t think of it in that way, but not having to create my layouts in an external program like I often do, is a huge factor for me. If you normally don’t make your own layouts and like the standard templates provided, then this may not be as important to you. But, after you get addicted to photo books like I have – you will likely get bored of the standard layouts and you’ll want to be more adventurous. You will want to create layouts that compliment your photos, not force your photos to fit into a template. One option that would be great is if Photobook America started offering a lay flat option – many companies such as Picaboo and MyPublisher have added lay flat options to their lineups and those have certainly been welcome. I would be remiss in reviewing Photobook America without mentioning the Photobook America Groupon which for $35 gets you $115 towards your photo book. So, if you have the Groupon, making a book exactly like mine with paper upgrade and 126 pages would be $81.00 (before shipping). Definitely worth it. 70% off is huge and the company has said even though the Groupons are marked for 2-year expiration, they will continue to honor the discount even after two years. The last one offered was on October 19, 2010. I know this because of my Groupon Tracker! Bookmark it so you know when it comes up again.) What is Groupon? Read the details of how Groupons work here. What’s nice you can buy as many Photobook America Groupons as you like but you can only use one Groupon per photo book order. As for other deals, Photobook America has been offering 40% off their photobooks in the past few months that I have been checking. Please note, this deal cannot be combined with the Groupon. Photobook America makes a high quality photo book and the software is top notch. You will not be limited in design options and the software is easy to use. If cost is the main factor for you and you don’t have a Groupon, then keep your eye out for it by bookmarking my Groupon Tracker or my Photobook America Coupons & Deals page! We also have lots of fun on my Facebook page and we talk about the latest deals and tips! Wow, photobookamerica looks like high quality stuff! I hope they throw a groupon our way in the near future – I’ve never created a portrait book, but I’d like to give it a go and add a little variety to my collection! Your book does look amazing!! The paper and picture quality is what I cared about, and I’m glad you mentioned that and post a lot of pictures. I will definately go get a paper upgrade when I order mine after the holidays (somehow, I don’t want them to rush it, with the holidays orders). I have mine at about 75% and can’t wait to finsih it. Mine probably ended up as a Valentine’s day present.. Your book looks amazing. I’m waiting for our honeymoon book from PB America to arrive. I can’t wait to see it. I sent an email to PB America Customer service before thanksgiving and have never heard from them. I have been so busy I have not followed up, but not very pleased with their customer service so far. Hi! 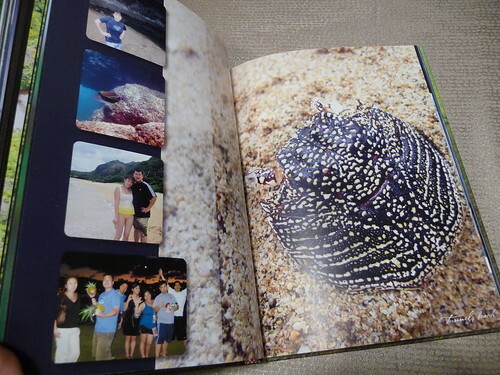 Your photobook is very impressive! I was just wondering whether you’ve had a chance to check out the 190gsm Photo Lustre Paper from Photobook America? I’d very curious to know what you think of the 216gsm silk paper ( which you used) vs. the 190gsm Photo Lustre Paper. Thanks! I’m glad you liked my photo book! It was fun to make because the software has so many built in features – I didn’t have to use Photoshop or any external programs to get the layouts I wanted. I have not yet had the chance to try the lustre paper yet – but I really want to – this blog is a lot of work and takes away time from my photo book making! But I hope to very soon. What’s great is that I will likely repurpose a lot of the layouts I have already created to be more efficient on book two! I have 4 Photobook America Groupons to use – LOL! You know that as soon as I try anything new – I’ll do my best to write a post on it! What is your opinion of Photobook America if I were to do less than 50 pages? Should I look at a smaller size? Different company? Less than 50 pages is fine – their minimum page count is 40 pages so that would work. I don’t think the page minimum would be a factor unless you want to do less than 40 pages. If you scan the photos, a good rule of thumb is to scan at 300dpi and save them as jpegs and you should be fine. I scan ticket stubs, maps, etc. at 300 dpi and they work out perfectly. Sounds like a great project and a gift your folks will definitely appreciate! If I have been scanning pictures at 1200 dpi does that mean I need to rescan all the images at 300dpi…I don’t know much about what all that means:) Thankfully there are people like you who do! No, you’ll be okay, but your files must be huge!!! It may slow down your book making and uploading for print considerably and is probably filling up your drive space. The photo book companies probably will downsize your photo files anyway. I think that going forward you may want to consider scanning at 300 dpi since the “extra info” isn’t necessary. Are you scanning for any other use (like huge enlargements)? No, I remembered my husband setting it up and saying something about scanning larger in case I wanted prints of anything but I didn’t pay attention to what he was saying…thank you for the information! I am mostly scanning just for this photo book and to have digital files so I will start scanning them different now. I Really appreciate your help! Thank you! Fabulous review! The quality you show here made me decide to do the imagewrap for our last big multifamily vacation. 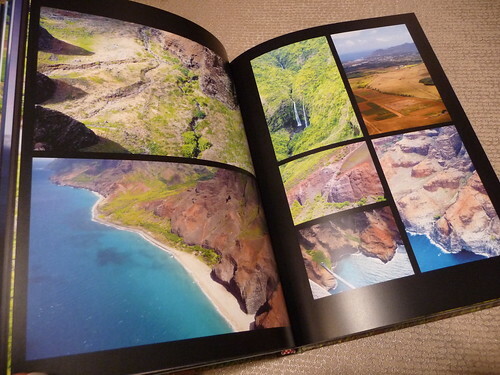 I like the layout examples under book ideas on their website – I think PhotobookAmerica should add your Hawaii book to these examples, as yours are SO nice! Is this the book listed as the Archive Book under specialty? Also is the minimum of pages 80? Thanks! No, it was the regular imagewrap with upgraded paper. They are both good papers as you will read. One is not better than the other – they are different papers. I like both. Photobook America’s 216gsm is more matte. MyPublisher’s paper is glossier – which do you prefer? MyPublisher’s will give you more vibrant color because it’s glossier (but not high gloss – it just has more of a sheen). The Deluxe paper is probably more comparable to PA’s lustre paper (also an upgrade, but I haven’t tried that yet, so I don’t have a firsthand opinion – it is my educated guess). I’m glad you like my site! Yes, I’m a bit crazy for putting so much time into it, but I do enjoy it, so I’m glad it’s helpful to folks. I don’t know if that will be available in future at Photobook America, but I will look into it and let you know if I hear anything. (If you’re not a Facebook fan, consider fanning the page so you don’t miss updates) As for now, I have a great tool that I think will help you that’s on our site: http://www.photobookgirl.com/software/ It will help you narrow down to a smaller subset the companies that offer sharing. Then, since you mention you like the advanced capabilities of the design software you definitely want “customizable layouts”. From there, that still leaves you with a good number, but I can tell you that the companies with the most flexible software (similar to Photobook America) would be: AdoramaPix, Blurb, Mixbook, MyPhotoCreations, Picaboo. If cost is no object, MyPhotoCreations and Picaboo have some nice high end options, AdoramaPix would be in the middle, and then Blurb and Mixbook would be the more affordable options. Of course there are several product choices for every company, but I think these are most comparable to Photobook America software-wise. Don’t forget to check the deals page, because something that may be out of range otherwise, can easily be affordable with Groupons or deals. Also, make sure to check out my wedding posts! Congrats! Thanks for the info, it was helpful in deciding whether to give them a try with the groupon – and I will! I found your website today and have been devouring the plethora of information! One query about how your photobook turned out – how close were the pages trimmed to the original red trimline shown in the editing software? Spot on / sort of / not trimmed at all? Looks pretty spot on to me. Just stay within the red in terms of captions or important elements and you’ll be fine! 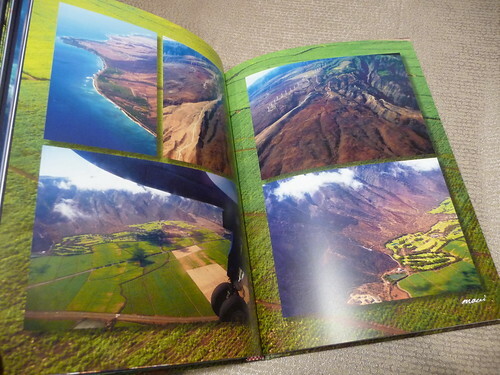 I love your Hawaii book (came across it as I was researching how to do my own Maui book). Sorry if you already posted this but I can’t seem to find the font you used on the spine. Great review! I, unfortunately, have not had a good experience with them. Besides the squished corners, several of my photos have been printed with an orange hue, and it looks tacky and strange. These are professional wedding photos. 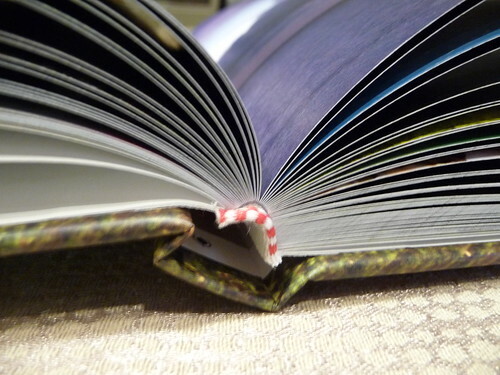 Also, the cover has started to bend out of shape only after a week, having been looked through twice. I would not recommend this company. I would ask customer service about a reprint if the photos came out orange. Hi there! I am thinking about ordering one of these for our guests to write on. I want to use our engagements photos and also leave places for guests to write something to us. Do you think we would be able to do this without the ink smearing? Great review by the way. The quality looks amazing! Thank you! 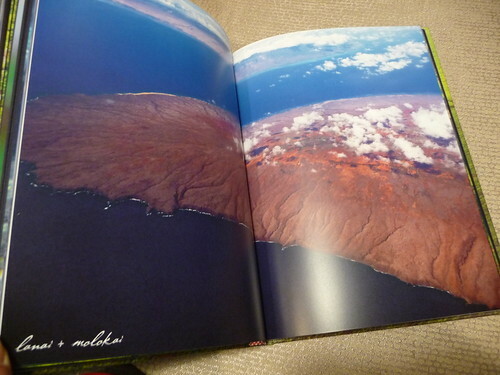 I’ve never written on a Photobook America book, but a Sharpie fine tip permanent marker should work no problems. Check under my wedding album posts for my guest book and you’ll see the tips there. Any help would be greatly appreciated, as I’m close to sending mine off to be printed ASAP. Sorry for the late response. What kind of book are you making on their site? I’ve been able to title the spine for the last two books that I’ve done as you’ve probably seen. Is that a recent change? If you’re on Facebook, I just wrote a note for the “Notes” section about this since another reader asked a similar question to yours. I just received my honeymoon photobook from Photobook America. I got the debossed book with the photo in the middle of the cover. All in all, I’m fairly disapointed in the book. 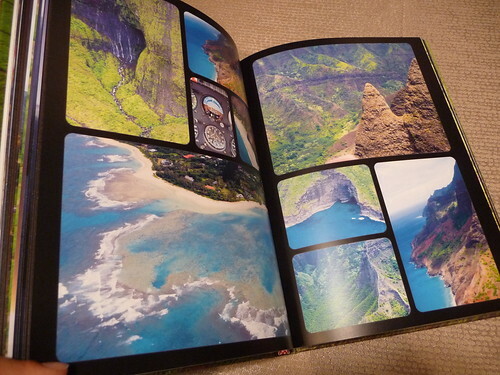 The pages are a bit lack-luster, and the colors do not look even close to as vibrant as they should. Althought it looks like the cover should have a cutout and a picture inside the cutout, it’s really just an indented square on the cover with a picture glued inside. I think it looks really cheap, and I’m glad I used a groupon. I’m pretty sure I’m going to re-do this book on a different site. 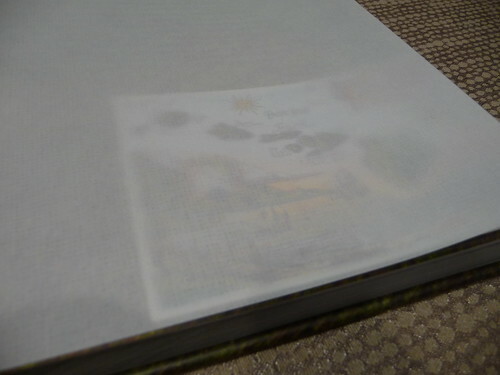 Just got my book from “photobookamerica” and completely disappointed, Cheap paper,pictures came out worse that on a preview, cover is not even,binding is poor. They call themselves photobookamerica, but company is in Malaysia??? It was not cheapest order even after the Groupon, they got me on $22 shipping. First of all, I have very mixed emotions about Photobookamerica.com. Like everyone else, I bought a Groupon for the $35 for $115. I liked that they offered this really big portrait size, 12″x14″. So I downloaded their software and began creating a book I had always wanted to get around to. I scanned in the big box of all my baby pictures and decided to put all my photos for the first 10 years of my life into a book. I was motivated by a situation I ran into recently at an estate sale where they were selling boxes of the dead persons photos for 10 cents each. I vowed right then and there that my photos will not become for sale, strewn out in boxes for everyone to pick through. I figure, if I put them into a photobook with dates and my information, maybe my children and their children will hold onto them and pass them along. But, I digress. Back to Photobookamerica.com. So I started making my book, I do single pages in Photoshop and then upload them as whole page photos. I found the software to be quite easy to use. You upload the photo, place it on the page, chose fit to page and its done. They clearly show you the bleed areas and everything is fairly easy and self-explanatory. The software looks to your hard drive or your external hard drive, so anytime I updated the pages, it was automatically reflected in my book. Unlike Picaboo, there was no way to update it to their server so you can save your work or work on it on other computers. All your photos don’t upload to their server until you are ready to order. So, I finished the book and it was about 114 pages. What can I say, my mom loved to take photos of me and this was before digital. This is where I will caution people. Don’t order the Groupon unless you plan to make a smaller book. Photobookamerica.com was having a 40% off sale and it turns out that the book would be cheaper for me to buy it on sale than to use my Groupon because additional pages above the 40 that come with the book, have to be bought at full price when using a Groupon. Shipping would also have been free, but not with the Groupon. So I threw together a 40 page book and re-orderd a 40 page book I had made a few years ago so that I could give the copies to my kids. Another word of caution. I don’t know if it was me or what, but I uploaded both books and each one said it was successful. However, I got a message a few hours later that the file was corrupted and needed to be sent again. I resent it and again got a message that the file was corrupted. It was on the third attempt that they received the file and it was ready to print. This was frustraiting only from the standpoint that the software said everything was received when it wasn’t and then it also delayed my printing and shipping by a few days. I will say that Photobookamerica.com was fast to print and fast to ship. Like many other people, my book was shipped from Malaysia. They sent me an email letting me know that it was shipped and provided me a DHL tracking number. I looked up the tracking number and my book was already on its way to Hong Kong. Next it was on its way to Los Angeles and then out on a truck for delivery the next morning. I was a bit perturbed that they shipped it signature required. I missed the driver and had to wait another day (I am pretty anxious to see all my hard work in print once ordered). So it showed up and I was pleased and disappointed all at the same time. I liked the binding and the extra translucent page in the front and back. The paper (I got the standard) was similar to books from other companies I have ordered from (Inkubook, Blurb, Shutterfly, Picaboo, Mixbook). I just really didn’t like the matte finish cover. The texture was strange and it feels funny in your hand. It feels like the treatment that some cell phone cases have on them that make it non slip. It was just very different. 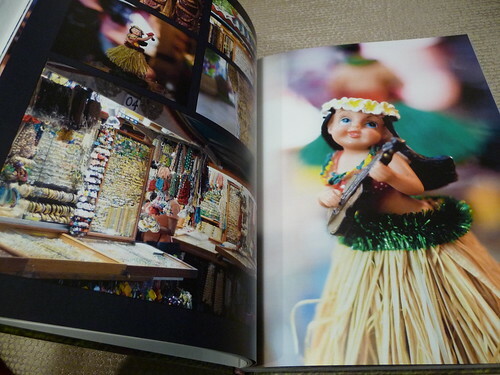 Since I already had this book in a 12×12 from Picaboo with a glossy cover, I could compare the color between the two. The Photobookamerica.com matte finish was very dull and the colors were extremely muted. Don’t get me wrong, I am not a matte finish hater, but I do prefer glossy. I have two books from Blurb in the matte finish and several from Inkubook (now snap mylife creations or something like that) and they are fine. It is just the texture of the matte that is so strange. 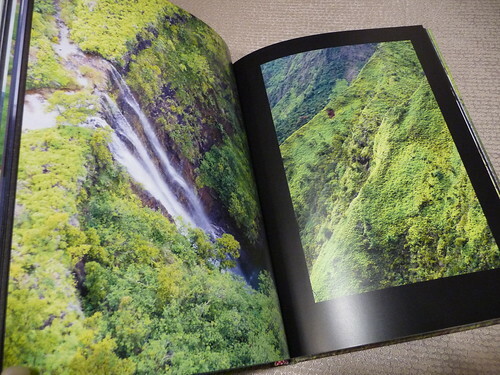 The interior color reproduction was similar to most other books so no complaint there. I went back on the website and looked at the options for the Imagewrap book and it says that the cover is available in Matte or Glossy. I wrote to the company and they said that they only offer matte finish and asked if I could show them were I saw that Glossy was an option. So I took a screencapture and provided them the link. They wrote me back (and this is where you know they are not an American company) and told me that production has informed them that glossy is an option and that going forward, should I desire glossy that I need to put that in the special instructions or by default it will be matte. I have never seen where the finish of the cover is not an option selected by a button and not something that I need to write in the special instructions. Oh well, I will be ordering another one because they are the only ones to offer the 12″x14″ and since I already created it, but this time I am asking for glossy and the upgraded paper. I will let you know my results! Michael, thanks for taking the time to write a thorough review. I know exactly what you mean by checking on the pricing and figuring out what deal is better for you. I discussed what I call the Groupon “tipping point” in this post: http://www.photobookgirl.com/blog/photobook-america-canada-photo-lustre-paper-review/. Hope your books all come out nicely! Thanks for the great and informative review… just a heads up that there is currently a Groupon for Photobook America if anyone is interested. I am going to give it a shot! Hi William, thanks for posting. Yes – I track all the photo book Groupons and Living Social deals that I can find. I love your site! Thanks for giving so much information. I’ve been photobook-crazy lately. I did 5 books in 3 months! I’ve used MyPublisher because of the great deal I got in Groupon. I loved the results, but I would like to try MyPhotobook this time. Anyway, I don’t know if someone has asked you already, but I’m loving the font that you used here. I think I’ve seen them on your other books as well. Would you mind sharing the name of that ‘cursive, script, hand-written look’ font you use? Thanks! your site is awesome!!! I am making a photo book guestbook with Photo Book America for my wedding and I got the groupon and designed the book and am so excited except I cannot bring myself to order it because I want to use it as a yearbook style guest book and have my guests sign around the photos and I am nervous about if that’ll be a possibility. I contacted them and they recommend the 170gsm textured matte paper for writing on but don’t know how the photos will look on textured paper. I read your review on what kind of pen to use (the ultra fine sharpie) but wondering what kind of paper you used that on. I have all my backgrounds black and wanted guests to sign with gold pen (my colors are black and gold) so wanted to stick with that. I just do not like white pages. Any advice is greatly appreciated!! your site has been very helpful!! Hi Julia! I actually have not tried the 170gsm textured paper before. Only the standard satin, the upgraded satin and the photo lustre. If they recommend the matte then it’s probably a great choice. However, with matte, I’d bet the colors of the photos may be slightly more muted than with the satin paper. I did mine on MyPublisher’s satin type paper. Good luck with your project. If you want to see all my wedding related posts, I hope you check out: http://www.photobookgirl.com/wedding/ congrats! can someone tell me how I can round out the corners of the photos? If you look to the top right you’ll see a bunch of tools. The first tab looks like a rectangle (hopefully we’re using the same version of software). Then you’ll see the word “corner” with a sliding bar. You can slide to adjust the amount of curvature. The rounded corners is one of the really nice functions of this software. By the way, be sure to check out my http://www.photobookgirl.com/deals/ page – there are several sales running right now that may work for you. Regards! I have a Groupon for Photo America/Layflat. I created my book. At checkout I entered my Voucher #. It gave me credit for the book BUT I have a huge cost for the paper. I assume it is for an upgrade of paper. Do I HAVE to pay the up charge to use my Groupon? Is the upgrade paper required with a Lay Flat Album? I would like to finish this project and I am frustrated with the non-response from Photo America. I do not want to pay for fancier paper. Hi Rosemary, I don’t believe you are being charged for an upgrade of paper, if you aren’t selecting that as an option – I can’t recall if there was a paper choice when I made mine. See my review here: http://www.photobookgirl.com/blog/photobook-america-layflat-review-plus-a-cyber-monday-giveaway-u-s-and-canada-enter-by-12715/ What I think you are being charged for are additional pages beyond the amount provided with the groupon. Usually groupons do offer great and deep discounts but usually only if you stay very close to the stated value of the groupon. So if you get 40 pages included in the price and you stick to 40 pages, then there’s no cost above the groupon except for tax and shipping typically. If you decide to make 80 pages then you’re paying full price for the extra 40 pages and hence the extra cost. I love using Groupons myself, but only if I know I’m sticking to the page count they are offering. Hope that helps? 1. Visited Sydney last week for five night, visited most of the major attractions. Opera,Bondi Beach, Sea/Wild Life/Madame Tussouds, Tarongga Zoo by ferry, Luna Park, Sydney Tower, QV Building, Few Museums, Paddy Market by BigBus. I wen there with my six years old daughter, and my wife is seven month pregnant. I did took a few panorama photos in most of the places but most of the time we just take selfie, either three of us or only my wife and myself. Less view photos. My daughter photos also snapped almost everywhere. Based on your vast experience with photobook, should we include selfies photos on each location? 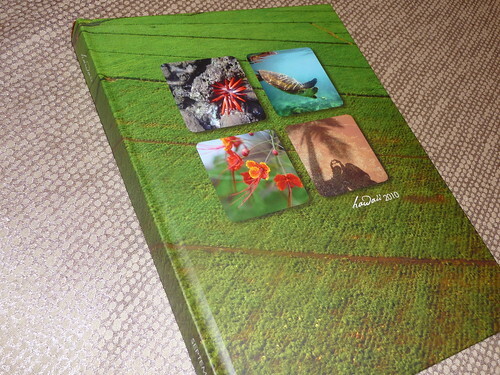 How can we trasure all the moments on my newly purchased 80 pages 14″ x 11″ Image wrap hardcover. Will wait for your input before proceed with our photobook creation. Thank you in advance!